Thinking about putting your alarm company on the market? As you approach the potential sale of your business, there are many things you’ll need to carefully consider and many questions you’ll need to answer, both on a personal and on a business level. Even after you list your company for sale, some of these questions may remain unanswered. But before you move forward with initiating the sale process by putting your company on the market and starting the search for qualified buyers, there are a handful of questions you absolutely must answer if you hope to sell successfully and for a sizable profit. Alarm company owners should ensure that they know the answers to these 8 questions before taking steps towards selling. 1. Is Now a Good Time to Sell? This may seem obvious, but it’s very important. For many alarm company owners, the time when it feels right to sell on a personal or professional level does not quite line up with the time that industry trends indicate it’s the ideal time to sell. If you want to sell your company for maximum profit, you’ll want to be sure that you wait for the right time. Look for trends that indicate it’s a seller’s market before you move forward with initiating the sale process. You can learn more about finding the best time to sell your alarm business here. 2. Am I Ready to Let Go of Company Ownership? This is somewhat of a personal question but it’s one that every alarm business owner must ask and answer honestly before putting a company up for sale. Letting go of the reins can be a very difficult thing to do, especially after you’ve spent your life and career building a successful company that you’re proud of. If you’re not ready to relinquish control, then selling your entire alarm business may not be the best choice. Selling some of your accounts may be the better option. 3. How Is the Internet of Things Impacting My Business? In this day and age, the Internet of Things is powerfully impacting many industries – including the alarm security industry. 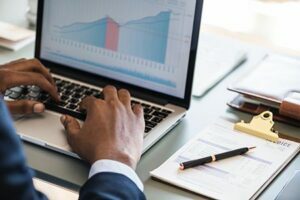 Before putting your company on the market, you’ll want to have a good understanding of how the Internet of Things may be affecting your company specifically. Whether it’s made certain aspects of your business obsolete or you’ve made some upgrades that have kept your company competitive, you’ll want to be aware. Consider what buyers will think of your business’ strategy for adapting to the Internet of Things and contemplate making changes to keep with the times if you feel that doing so may help you to sell for a higher profit. Find out if your alarm company seems outdated and, if it is, what to do about it. 4. Do I Have a Viable Succession Plan in Place? A business succession plan is an important thing to have as a company owner preparing for a transition, but it’s also something that many potential buyers look for when they’re considering their options for purchasing a business. It’s a sign of a healthy, stable company. As such, you’ll absolutely want to have one in place before moving forward with putting your company on the market. Wondering how to go about crafting a successful succession plan? Read our succession planning tips here. 5. How Much is My Alarm Business Worth? This is an important question to know the answer to while you own and manage your company, but it’s especially important to understand as you approach the possibility of selling. Knowing how much your alarm business is worth can help you determine how much you should realistically sell it for, plus it will help you to communicate its true value to potential buyers. It’s a very important thing to have a handle on. Review the factors that influence your alarm company’s worth here. Interested in an alarm company valuation? Request one from AFS here. 6. Do I Know of An Alarm Company Broker I Can Trust? An alarm company broker is an incredibly valuable ally when it comes to selling an alarm business. They know the ins and outs of the industry, plus they’ll get to know the specifics of your company so they can help you find a buyer that’s well suited and an offer that’s appropriate and profitable. Before you make plans to sell, it’s in your best interest to find an alarm company broker who can help you along the way. Learn more about the benefits of working with an experienced alarm company broker. 7. Does My Company Have A Unique Selling Point? If you want to attract well qualified buyers and sell your company for top dollar, you’re going to need something to make your company really stand out from the rest. You may already have a unique aspect of your company that will make it appealing to buyers. The question is – can you articulate the unique selling point? You’ll need to be prepared to highlight your company’s unique selling point before you put it on the market, so you’ll want to give some thought to this question well ahead of time and take action to refine your USP before moving forward. Read through some tips for identifying and articulating your business’ USP here. 8. Are Interested Buyers Well-Qualified? If you’re considering putting your company on the market either because you’ve been approached by interested buyers or because you anticipate buyer interest, take a step back and assess the potential buyers themselves. You want to be sure that you’re generating interest from qualified buyers who can continue your company’s growth and positive reputation well into the future. You’ll also want to be confident that the buyers will understand the true value of your company and be willing to pay top dollar for it. Get some tips on finding the right buyers for your business when you’re sure it’s time to sell. Answering these 8 questions will help you to prepare both yourself and your company for a successful sale. If you are unsure of the answers to any of these questions, it is likely worth taking a step back to get your ducks in a row before putting your business on the market. Need help getting your affairs in order and answering these questions? 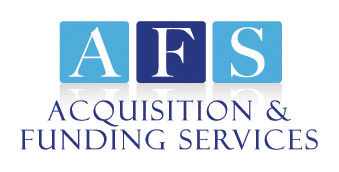 Contact Rory Russell at AFS today at (800) 354-3863 (personal cell with 24/7 availability). He can help you prepare for a successful sale and assist you in selling your business for maximum profit when the time is right. Looking for an ally and partner when it comes to selling your alarm business? Ready to move forward with selling your company now? Get in touch with Rory today at (800) 354-3863 and take the first step towards selling your company for top dollar!